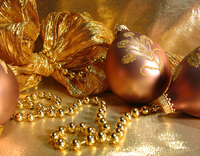 The winter holidays – love them or not – are a time to celebrate. With celebration, however, often comes complacency, and the week before Christmas can easily lead to “letting our guard down”. It’s a time of year when we are more prone to relax, all in the spirit of the season. As wonderful as the holidays are, there is danger lurking behind some of the more common aspects of our celebrations. But there doesn’t have to be. With a little forethought, preparation and knowledge, the week before Christmas can be safe and worry-free. Safety at home includes hanging ornaments, lights and other decorations out of the reach of little ones, and keeping the menorah out of reach. Don’t forget that mistletoe and holly berries are toxic, and dreidel and other game pieces are choking hazards. Unfortunately, crime rates tick upward during the holidays. “We call it good cheer,” says News 3 Las Vegas. “Criminals call it complacency.” If you still have some shopping to do the week before Christmas, stay safe! According to the National Fire Protection Association (NFPA), fire departments respond to an average of 230 Christmas tree fires each year. These fires caused an average of 22 injuries, 6 deaths and more than $18 million in property damage. Fires can happen at any time, not just the week before Christmas, although tree fires are more likely to occur toward the end of December and into the New Year. Interested in more Tips for Your Home?